Adobe Lightroom Training course in Doha, Qatar. Course aimed for photographers using RAW files and interested to develop and retouch their photos giving them that professional edge. This course will set you up to learn and use the features and tools of Adobe Photoshop Lightroom. We will explain all the inside outs of digital processing and retouching techniques from importing and cataloguing your photos to making image adjustments with the powerful RAW processing capabilities. This course not only teaches you “how and when” to apply your retouching tools but also develop your creative eye to better understand what needs to be enhanced in the first place. You will be working on a selection of photograph learning how to apply your digital workflow in a non-destructive manner. Harness the power of image editing. Take full advantage of Adobe's latest Lightroom capabilities. Build your photography library. Lightroom's all powerful feature for setting up your folder structure and working with catalogues. Never lose track of your images from now on. Learn how import, organize and manage your photographs, through the use of metadata functions and keywording. 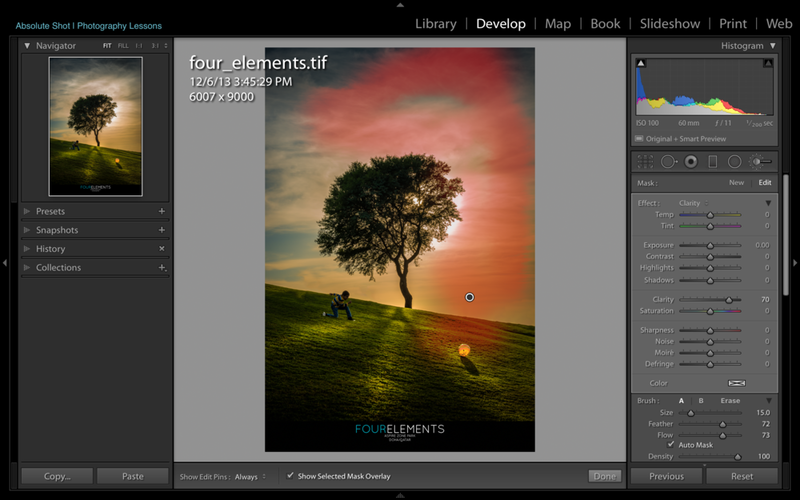 Introduction to the new features in LR6/CC. Learn how to photo merge using HDR and panorama techniques. Get familiar with Adobe's LR interface and learn how each module can contribute to your digital workflow. This part goes over the targeted adjustment tools within LR and deals with the aesthetics of your photographs. Details that will make or break your image! Develop module tools panel overview and demonstrations on how to use each tool for maximizing the punch in your images. Whether you plan uploading to social media or ordering large prints, learn how to optimize your photos through the export module.